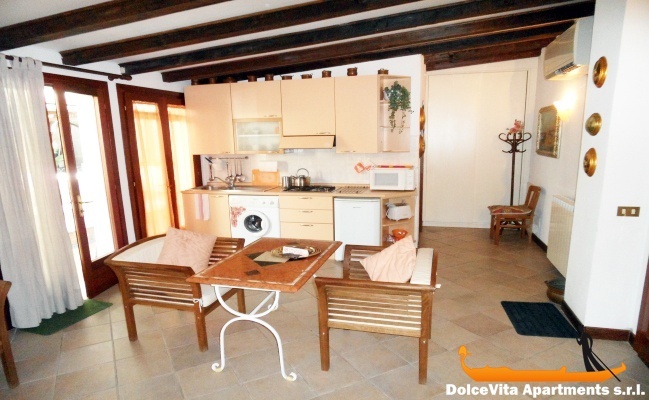 Apartment N. 13: It can accommodate up to 2 people, it is rented from 105 € per Night (not per person). 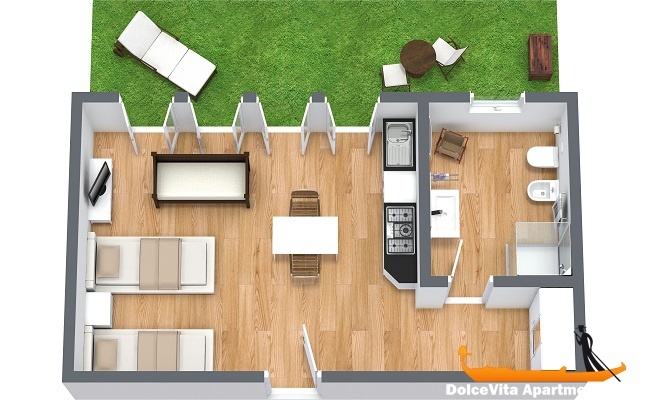 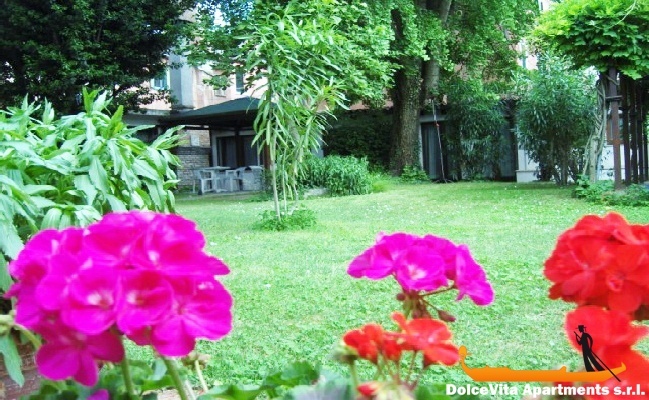 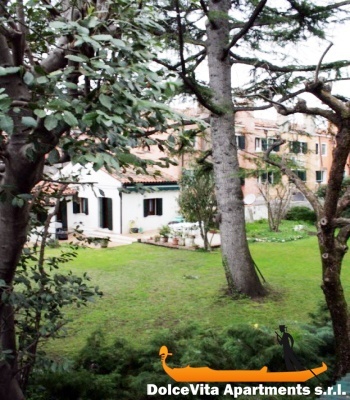 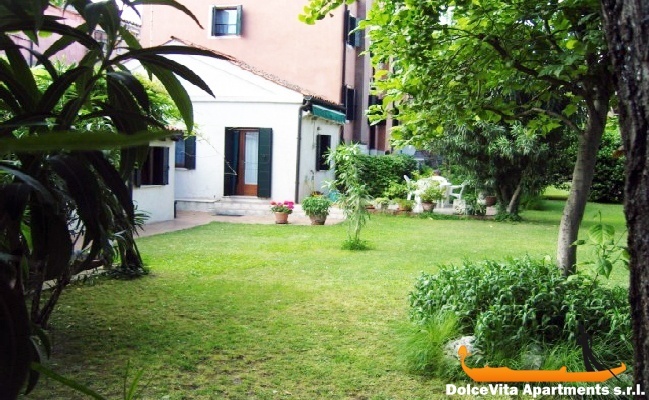 This beautiful open space is in the heart of the Castello district, just few steps from the Gardens of the Biennale. 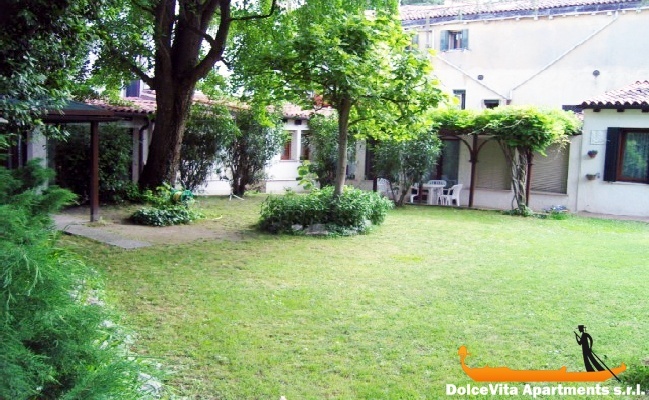 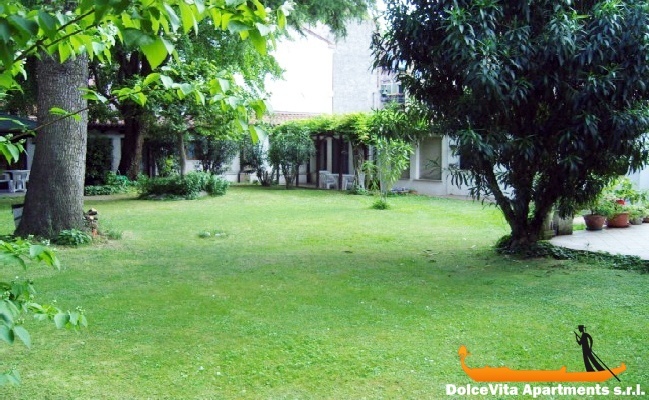 Recently restored, with an area of 40 Square Meters, it is surrounded by a luxury private garden of 1000 Square Meters. 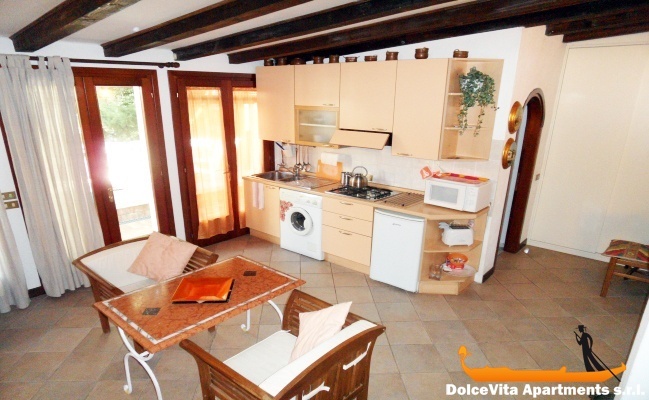 This sunny studio apartment has a fully equipped kitchen, living area with a sleeping corner containing two single beds and a bathroom with shower. 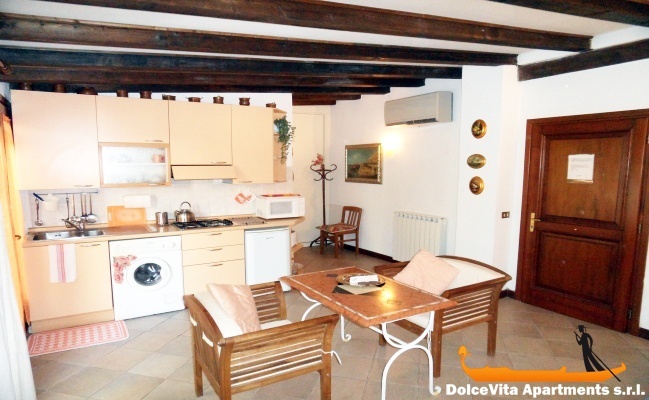 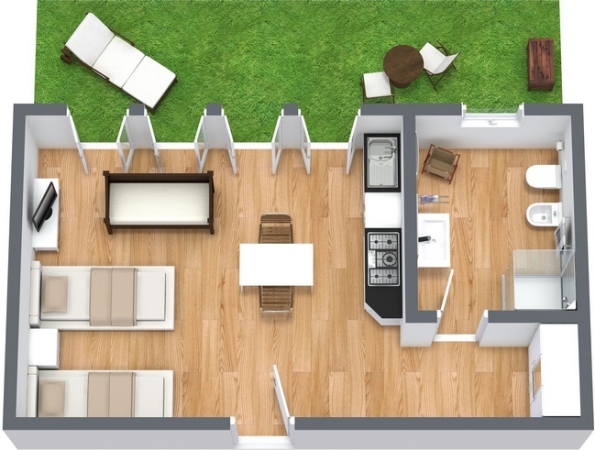 It has modern facilities such as washing machine, air conditioning, microwave and television. 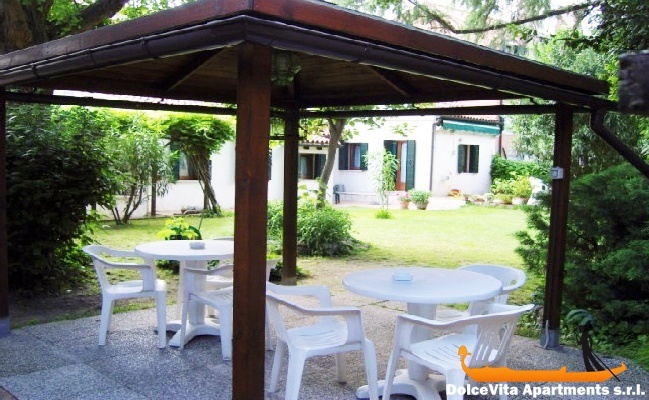 This is the perfect place to relax after a day exploring the wonders of Venice; plus it has the added bonus of your own private patio with a table and chairs just in front of your door.